COVER REVEAL Giveaway & Surprise Sale! One of my favorite days of the year is the day I spend at the NY Faerie Festival in Ouaquaga, NY (right outside of Binghamton in the middle of some beautiful countryside). The Faerie Fest was started by some local folks from the Binghamton Pagan and musical community five years ago, and I've made it there for 4 years out of 5. I always have a blast. Of course, part of that is because the Faerie Fest is located just down the road from where my wonderful friends Robin and George live, along with my goddess-children Sophie (now 7) and Nate (6). So every year, my pal Ellen and I make a pilgrimage to the Festival, accompanied by Robin and the kids. Lots of hard work and imagination meant that everywhere you looked, you saw something clever and magical in the woods. This guy was actually overhead, up in a tree! We bumped into Patsy, one of the Blue Moon Circle ladies. She and Karen are involved in the event, and Karen's guy Glen actually owns the beautiful piece of land the event takes place on. The kids had a blast wading in the creek (there were mermaids in the creek too, but they were on break while we were down there). And LOOK! I found a little Chudo-Yudo! The weather was absolutely gorgeous, the company was great, and I really enjoyed having a rare day to just relax and have fun. If you ever get the chance, you should go. It's magical! Ellen, me, Nate, and Sophie at the end of the day--tired but happy. 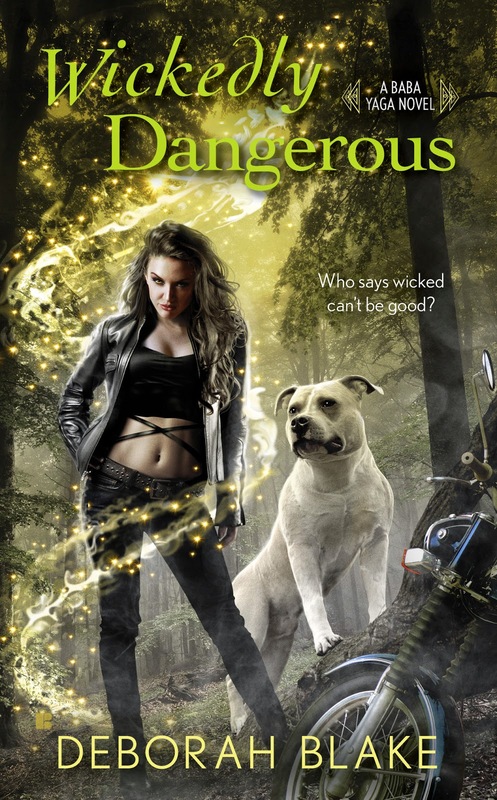 Here are some copies of the bound galleys for WICKEDLY DANGEROUS. Enjoy! When I posted this picture on Facebook, one of my fans immediately said, "Does this mean you're having a contest?" This is going to be very simple. All you have to do is post something in the comments. You can tell me if you're looking forward to the book coming out, or whether or not you think ARC's are cool, or whatever. On Wednesday evening before I go to bed I'll pick one random winner from the comments. The only thing I ask is that if you win, you promise to review it. You can post a review to Goodreads at any time; Amazon won't let you do it until the book is officially available (but you can save a copy of your earlier review and post the same one there later). So what are you waiting for? Ready, get set--comment! Saturday was a wonderful day. The weather was perfect (a rarity in NY state) and Blue Moon Circle had a fabulous water-themed Summer Solstice ritual together, followed by a lovely feast. I spent the rest of the day resting, then doing some writing on the new novel I'm working on, interspersed with reading a fab short story my mother wrote, and doing some editing on that. Then we emailed back and forth about it, which was also lovely. All in all, an unusually pleasant and relaxed day. Angel food cake with fresh local strawberries and homemade whipped cream. Yum. I was going to take a lazy day on Sunday--the plan was to relax and write, and not do much else. But then I woke up with more energy than usual (probably thanks to the ritual the day before) and the urge to Get Something Done. So I called my wonderful friend Ellen (who will work for wine, bless her) and asked her if she could come over and help me finally tackle the messy mudroom. You have to understand that, over the course of the last year or so, I have cleaned and cleared almost every room in the house--getting rid of clutter and stuff I don't need any more, reorganizing and neatening what was left. The only room left is one upstairs (which was the craft/crap room, and is now going to be mostly storage...as soon as I finish sorting through the last bunch o' crap). And the mudroom. Oy. I'd done part of the mudroom too--reorganized the shelf where all the tools and nails and electrical bits live. But the rest of it was still pretty much a disaster, including loads of cobwebs (the spiders seem to love it out there) and some rodent droppings in awkward places. It was so overwhelming, I kept putting off dealing with it. But it is the space people enter and leave the house through, and that's about the worst space to still be a mess. Most of that stuff actually needed to be in there, but boy, was it a mess. So we literally took everything out (except the washer, dryer, and freezer, and the one shelf unit I'd already done, which is to my left as I took the picture). Everything. The shelves got washed off, the floors and walls got swept (I lost count of giant spiders at about a dozen...but there might have been some girly shrieking from time to time as I stumbled across yet another one), and the ragged old plastic taken off the window. It makes me so happy--I keep walking out there to look at it. I can find everything, get at the stuff I need to (like the step stool in corner by the freezer that was impossible to reach), and it is CLEAN. Happy sigh. All that's left to do is go out there with a sage smudge wand and give it a little extra boost. I gave Ellen a bottle of wine (and let her do two loads of laundry while we were working, since she doesn't have a laundry room) along with my undying gratitude. And then took a nap after she left. Man, that was a lot of work. But so worth it, since it is now a pleasant space for people to enter and leave by. Much better energy by far, not to mention just plain nicer to look at. The rest of the day is going to revert to my original plan of relaxing and writing, along with some leftovers from yesterday, and maybe even a glass of wine. I think I earned it, don't you? It has been a long couple of weeks. I'm finally over my cold (although it is hard to tell with allergy season in full bloom), but I'm wrestling with the post-horrid-bug exhaustion. Plus, of course, there was catching up with everything I missed while I was out of work for three days, plus the big cover release and contest here, and trying to keep up with the garden, and -- well, you know what I mean. Of course, naps are good too. I'm hoping to get one of those this afternoon. Maybe. Hanging out with friends is also nice. I'll definitely be doing that tomorrow, when Blue Moon Circle gets together for the Summer Solstice. I hope you take time to smell the flowers this weekend. Oh, and for those who asked, here is this week's Necklace of the Week, as posted on Facebook. (That's lapis, in case you can't tell.) The hearts make me think of my writer pal Candace Havens. Today is her birthday, and I hope she gets something shiny and pretty! Have a wonderful weekend, and happy solstice! 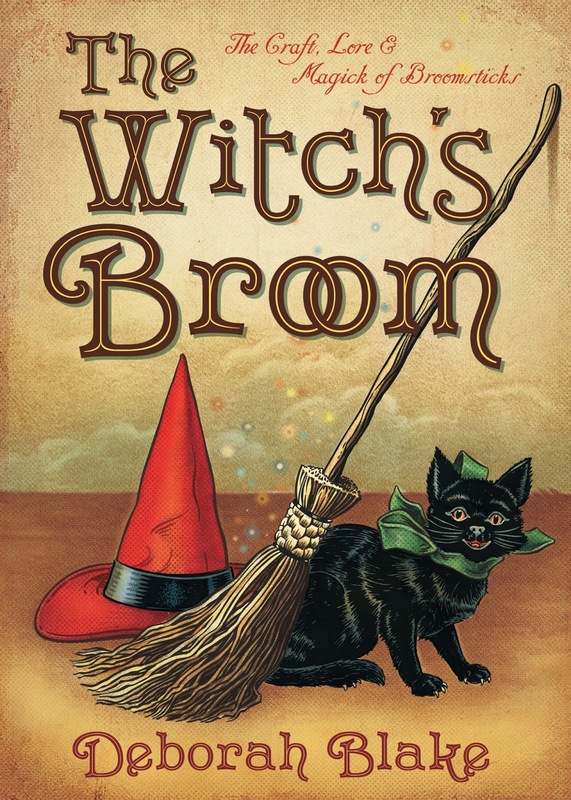 As most of you know, I am getting ready to switch gears--from focusing on my nonfiction work (like this year's new release The Witch's Broom and my eBook release of Circle, Coven & Grove ) to preparing for the release of my fiction, the novella and first two novels in the Baba Yaga Series. But before I start doing all the yelling and jumping up and down and giveaways for the novels next month, I wanted to take the time to say a giant THANK YOU to all the lovely folks who have been so supportive all these years of my Llewellyn books. No, I'm not giving that up altogether, at least not yet...there's another book coming out next year, as well as a Super Sekrit Project in the works that I can't even hint at yet. (But you're going to LOVE IT. Just sayin'.) And I certainly hope that some of y'all will come along with me on this new adventure. 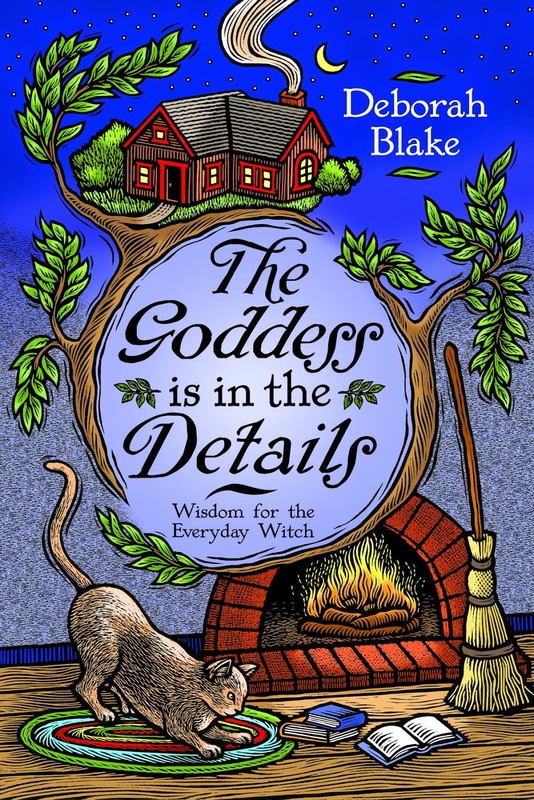 In the meanwhile, here is the cover for the upcoming EVERYDAY WITCHCRAFT, the follow-up book to The Goddess is in the Details (my favorite of all my books so far, and the favorite of many of my readers). 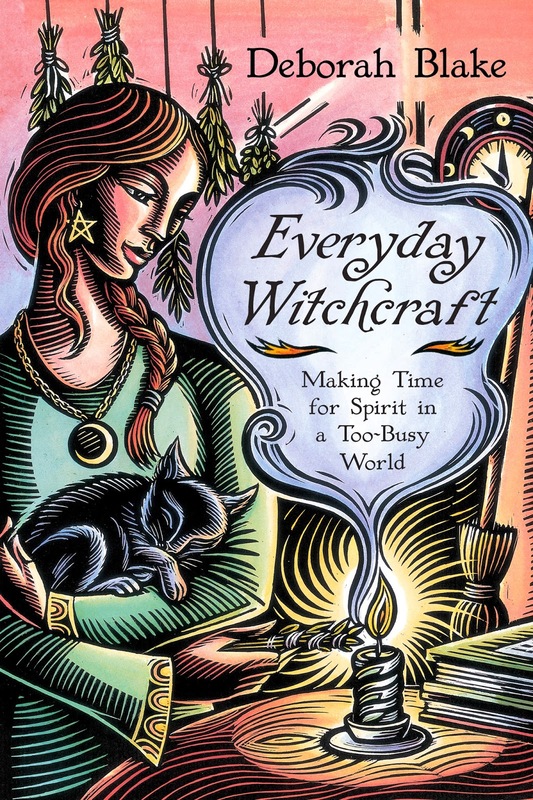 EVERYDAY WITCHCRAFT will be out in March 2015. I hope you love the cover as much as I do! TWO notebooks: one with the Circle, Coven & Grove cover by Mickie Mueller, and one with The Witch's Broom cover (and, as you can see, a black and white version of the CC&G cover on the back). FIVE swag bundles with a mini-notebook, and some other goodies. And the last of the Witch's Broom refrigerator magnets. You can see how impressed Samhain is. and one of The Goddess is in the Details. Do you all feel appreciated yet? Are we having fun celebrating the cover reveal? I hope so, on both counts! So enter the contest, and run over to get your sale copy of Circle, Coven & Grove if you want one. And don't forget to spread the word, please! So, which prize do you want to win? You might have noticed that I haven't put up a post this week (well, or maybe not...maybe you didn't miss me at all...). That's because I came down with The Summer Flu from Hell on Monday and have been sick as a dog since then. I even stayed home from work since Monday, since I've been running a high fever. Yeesh. I have too much to do to be sick! Anyway, that's why no blog posts this week. However, I do have something SPECTACULAR for you tomorrow. A big surprise. Well a couple of surprises. So be sure and check in on Friday...I promise it will be worth it. Okay, I'm going to go lie down now. Hope you're all having a good week. My advice to you: DON'T GET SICK. You're welcome. Author Nancy Holzner is one of my favorite people. I met Nancy online after reading the first of her Deadtown books and we eventually became friends. She lives in Ithaca, which is about two hours from me, so we manage to get together a few times a year. Yesterday was one of those rare days, and we had a LOVELY time. Of course, we spent a lot of our time together talking writing--a real treat for me, since I don't have any writer friends here in town. She gave me some great advice on promoting the upcoming novels, and we also just talked about the writing process in general, and caught up on each others lives. Naturally, we did some of this while eating. Our waitress at The Farmhouse Restaurant was kind enough to snap this picture of us, post yummy lunch. And as promised, here is our pal the Very Friendly Rabbit. I often have to remind myself that is is okay (necessary, even) to occasionally take a day off from working on writing, jewelry, running the shop, and all the rest. But fun days like this definitely leave me feeling good and recharge my mental and emotional batteries. One of the great "bonus" discoveries I got the first spring I was in this house (I moved in in October, lo these many years ago) was that there were a lot of my favorite flowers, shrubs, and trees already here. There are a few apple trees and a flowering crab apple, some very prickly wild-ish roses, and among other things, these lovely plants, all of which are flowering right now--quite the balm to my soul after a long bitter winter. Peonies are one of my favorite flowers--I like them even better than roses. I grow chives to eat, but they also have lovely blossoms which the bees love. I have about 7-8 different lilacs, in a variety of colors. This is one of the later bloomers. This little white rhododendron was hiding under some heavy pines in the front yard. When the trees got trimmed back a couple of years ago, the blooms appeared for the first time! This is a huge rhododendron that guards the front entrance. It's a little bit of a show off. Here is the little one in its niche. I'm working on a shade garden under here. A white lilac, at the end of its bloom period. And as requested, a picture of the "necklace of the week" I posted on Facebook. This one is turquoise, black onyx, and coral--a combination favored by many of the Native American tribes, which I love too. I hope something lovely is blooming in your yard or in your life. Let me know if there is!